Fans: A few season ago you was at the trough of your career but now you are at the top again! How did you do it? Mark: I got back up the rankings by shear hard work and practicing as long as I could, and started to get my confidance back by doing that. Fans: You had a remarkable performance in the last season, what are looking for in the next season? There are new overseas ranking events, do you think it is beneficial to players? Mark: I just want to try and do the best I can and hopefully stay up the rankings, but if I could manage to win the World Championship once more that would be the icing on the cake for me. As I love playing in China and have a good record there and other overseas events. Fans: What will you do when you are behind in the match? Mark: I try my best not to get too down or dissapointed with myself too much otherwise you are helping your opponent to beat you. Fans: Describe your playing style. Mark: I think I'm more calmer and relaxed than any other player, and I think that helps me when the pressure situations arise. Not too sure if I'm more attacking than ronnie, not much in it. Fans: Your most memorable match? 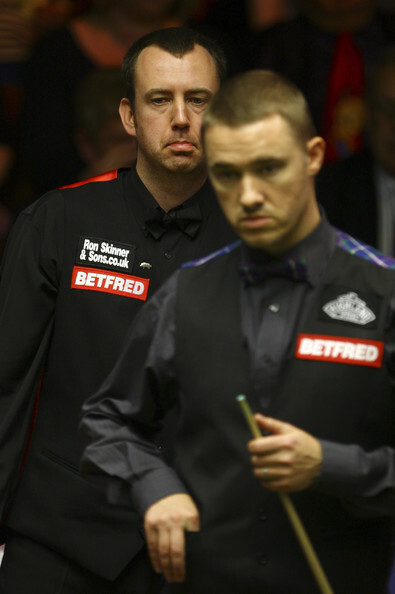 Mark: My most memorable must be without doubt is beating Stephen Hendry on a respotted black 10-9 in the Benson and Hedges Masters (1998) in Wembley. Fans: The UK Championship of this season will have a new format that matches before semi-final reduced to best of 11 frames. Do you think there will be more short matches in the matches? What influence will it bring to players? Mark: I am not in favour of it and neither would most of the top pros like as the top boys would say that you have more time to get into a match, but as we got Barry Hearn in to shake our game up, we got to support him 100% and go along with it. 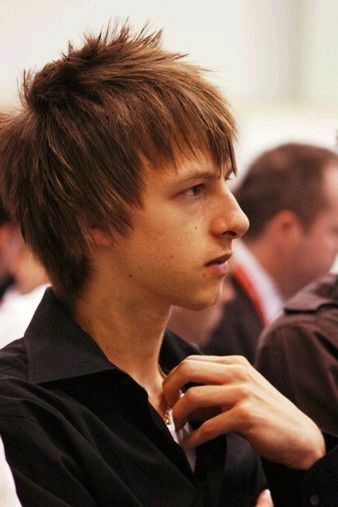 Fans: Tell us about Judd Trump. Mark: Judd trump is an excellent player but needs to keep improving and practicing hard and not let the last couple of tournaments get to him. Fans: In the new generation of players, which four are you in favour of? Mark: My top 4 players in the world to come would be something like Ding, Trump, Selby, Murphy. With either of those capable of winning lots of competitions. Fans: Who is your favourite player? Mark: My favourite snooker player was Jimmy White growing up, but now my favourite to watch now is Ronnie. Fans: You were defeated by Li Yan in PTC1, how did you think about that game? Mark: I lost 4-3 to him and he played very well, I am not one for excuses but with the wedding etc. I never played much, but what I seen of him he has very good potential and one for the future. Fans: As we know, you play with your left hand. How about eating, holding pens or iphones? Mark: I eat, use iphone with left hand, also write left hand, I throw play golf and darts right hand. Fans: Can you play with your right hand? Mark: I am terrible playing with my right hand, I prefer to put my cue under my body to play a shot rather than try and play with my right. Fans: Besides as being a snooker player, I know you was a boxer before you turned professional. What other sports do you like? Mark: I like playing five a side football, bit of golf not as much as i used to though, fishing, but nothing beats getting out on my motorbike when the weather is nice and warm.